Sometimes, the best gifts don’t come in the form of electronics or clothes, but rather offerings that complement your inner entertainer. These gifts are perfect for when you host parties or need to enhance your kitchen to a new level of fabulosity. You know what’s awesome? Chocolate. You know what’s even more awesome? A freaking TOWER of chocolate. 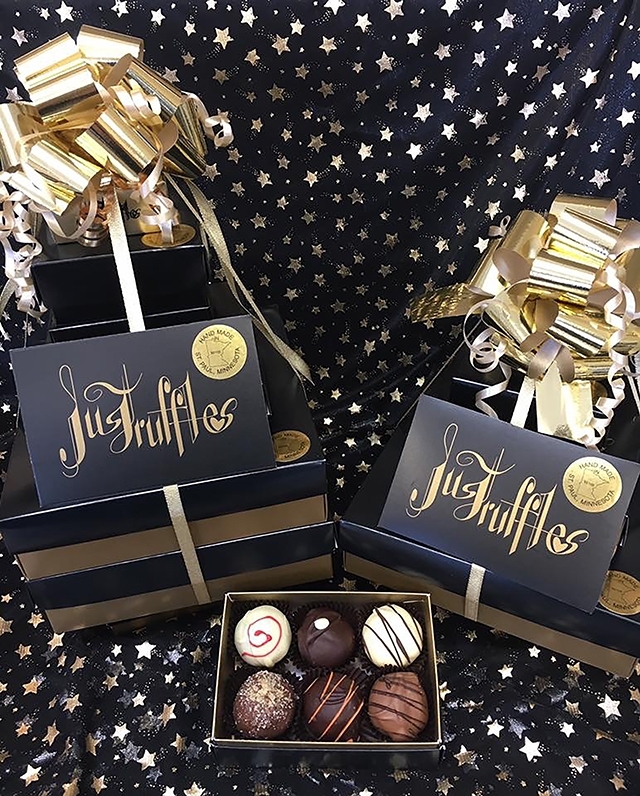 From the fine folks at Just Truffles, this is the ultimate gift for someone with a serious sweet tooth. You can choose from a variety of over 40 handmade chocolate truffle flavors to fill up a tower of gift boxes for a total of 30 truffles. A one of a kind, solid chamcha wood wine rack, this handsome and unique freestanding sculptural piece is perfect for any home. Talk about glass with some serious class! 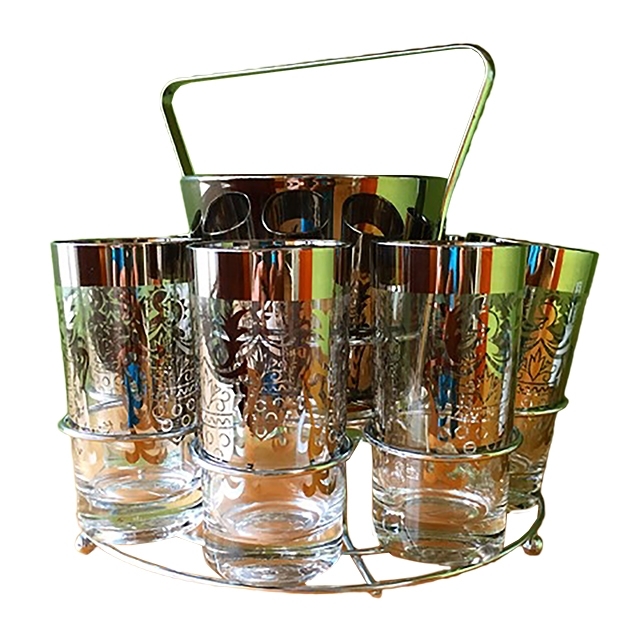 This vintage silver cocktail set boasts eight tumblers and an ice bucket in a special carrying rack. A perfect holiday gift just in time for New Year’s festivities. 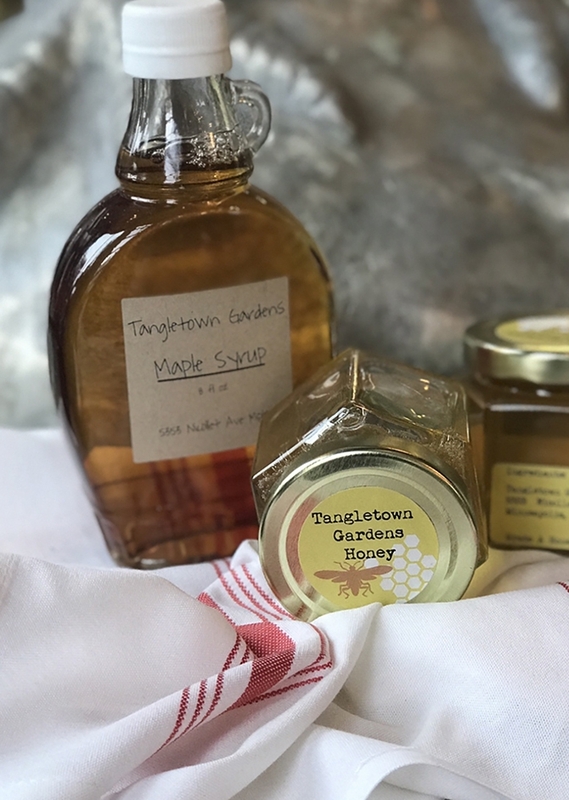 Minneapolis’ own Tangletown Gardens isn’t just known for its gardening mastery, but for its great selection of farm-fresh produce and groceries courtesy of its farm in Plato, MN. Complement your breakfast with their delicious syrup and honey selections. Ring in the new year with this gorgeous two-piece glass toasting flute set. 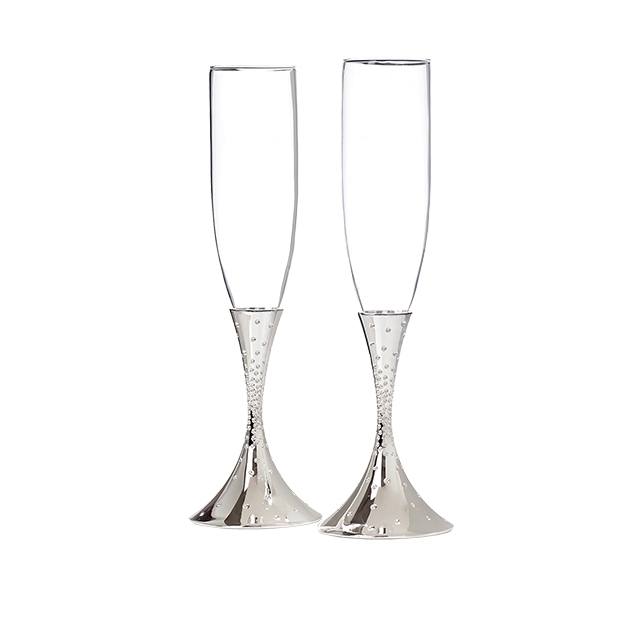 These flutes rise out of polished silver plate bases with amazing dazzle designs, and you won’t be able to imagine drinking champagne from anything else! Chop up those veggies in style with these awesome gradient-style wood cutting boards from Future Framing, crafted from American Cherry and Maple wood, expertly glued and coated with mineral oil to protect the wood. Choose from small, medium, and large-sized options.